The price of palladium is breaking records. And the financial media is buzzing about the white metal. But before you get sucked into the palladium hype, there are a few things investors should know. 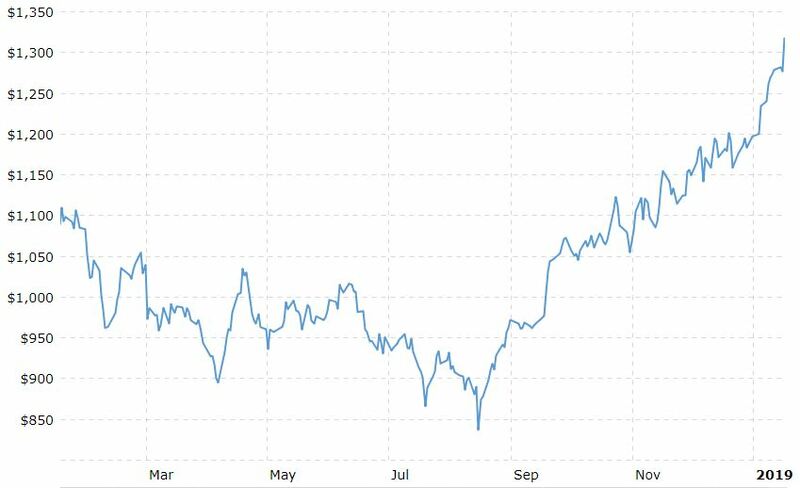 In the past five months, palladium prices have increased by almost 60%. Yesterday, the price of palladium soared to over $1,400 an ounce, an all-time high for the metal. That's $100 more expensive than gold. And almost $600 more than its cousin, platinum! In fact, as of right now, palladium is the most expensive of the precious metals. We have talked about palladium a lot here in Energy and Capital. Due to palladium's resistance to many types of corrosion, the metal has been used as a store of wealth and capital. And due to the metal's catalytic properties, palladium is a vital resource amid a hydrocarbon-based energy society. Palladium is an asset that almost quintessentially defines Energy and Capital. But as an investment vehicle, palladium fails in many aspects. And the first thing investors should know about palladium is investment options are very limited. Compared to metals like gold or silver (or even base metals like copper), there are only a handful of ways investors can get exposure to palladium price fluctuations. One way is, of course, through palladium mining stocks. But there's one problem with palladium mining stocks: There aren't any. OK, what I mean is that there aren't any pure-play palladium stocks. No one mines palladium exclusively. 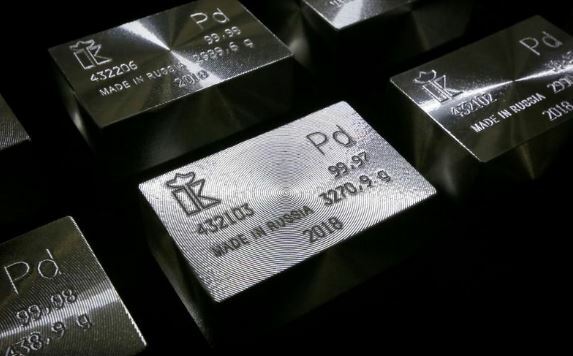 There are a few large public companies like Anglo American Platinum (OTC: ANGPY) or Impala Platinum (OTC: IMPUY) that mine palladium as a by-product. And there are one or two much smaller companies that focus a bit more on palladium-rich mines. But overall, there aren't any pure-play palladium companies. Well, yes, palladium coins and bars are very easy to buy. 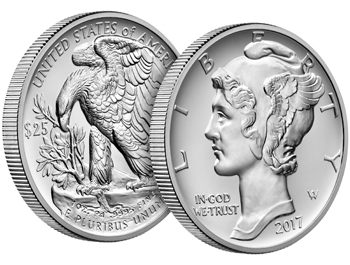 In fact, the U.S. Mint recently released its first-ever palladium bullion coin, which actually looks nice in my opinion. And you can buy these from any online bullion dealer or through eBay or wherever. But nice-looking or not, palladium bullion has some serious downsides. And the biggest are the margins. The spread between the sell price (what you pay) and the buy price (what bullion dealers pay) is much larger than that of any other precious metal. In short, premiums for palladium bullion are high, and buyback prices are low. 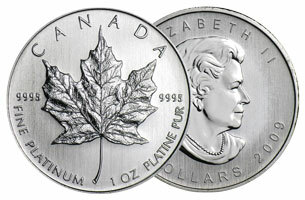 What that means in practice is this: If palladium's cash price on COMEX is $1,350 per ounce, a bullion dealer might sell a one-ounce Canadian Palladium Maple Leaf for as much as $1,500. But with prices even at $1,350 an ounce, they might only give you $1,300 for the same coin. Compare that to gold: If the cash price of gold on COMEX is $1,350 an ounce, a bullion dealer might sell a one-ounce Canadian Gold Maple Leaf for about $1,425. But they'd buy back your coin for $1,350, which is at least the COMEX cash price. So buying and selling palladium bullion is far from ideal. And for large investments, forget about it. Because another problem with palladium bullion can be liquidation. Sometimes bullion dealers buy back palladium... sometimes. Due to low turnaround, bullion dealers don't always buy palladium. So it's very important to check if your palladium bullion dealer will buy your metal back before dipping your toe in that water. Palladium bullion... it's not worth the cost. Well, if you really want to invest in palladium that badly, the palladium ETF is the way to go. Notice I said “the” palladium ETF because, yes, there's only one of any importance: Aberdeen Standard Physical Palladium Shares ETF (NYSE: PALL). Aside from the high expense ratio, liquidity could be a problem. PALL's average daily volume is under 24,000. Compare that to the 9,000,000 SPDR Gold Shares ETF (NYSE: GLD) traded everyday. So PALL is still far from an ideal investment. All in all, investing in palladium is limited, if not very expensive. But maybe more important for investors to know is why palladium prices are shooting up right now. This is true. But what the mainstream financial media fails to mention is that the palladium and platinum markets are cyclical. I mentioned earlier palladium's catalytic properties as a vital resource in a hydrocarbon-based energy society. Here's where that comes into play. In short, both palladium and platinum can act as a sponge to soak up hydrocarbon emissions. Palladium, for instance, can absorb as much as 900 times its own weight in hydrocarbons, which is pretty incredible if you ask me. That makes it (and platinum) ideal for automotive catalytic converters. More than half of the world's production of palladium and platinum end up in catalytic converters. 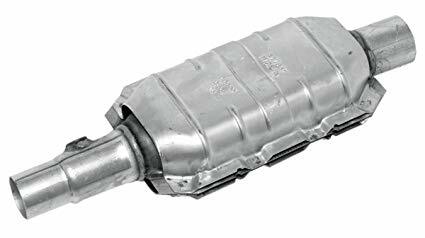 So at the end of the day, the catalytic converter market drives the palladium and platinum markets. Thing is, manufacturers of catalytic converters only need to use either palladium or platinum as the main catalyst metal in their product. So, throughout the years, manufacturers of catalytic converters have bought the less expensive of the two metals to be used in their products. If palladium were less expensive than platinum, engineers would build catalytic converters using mainly palladium. And if platinum was less expensive, vice versa. This substitution between the two metals alters the supply/demand dynamic, and prices are affected accordingly. And this is nowhere more clearly seen than in the platinum/palladium price ratio. In a much longer-term look at palladium prices alone, we can see more of the auto catalyst industry's action at work. In recent years, the prices of palladium and platinum have exchanged places as the world's most expensive precious metal. And now that palladium has taken the throne, it's certain that catalytic converter manufacturers will begin to look for alternatives. As I mentioned, the price of platinum is almost $600 less per ounce than palladium. Platinum is 40% cheaper and performs the same function as palladium. If you're buying material for future catalytic converters, which metal are you going to buy? 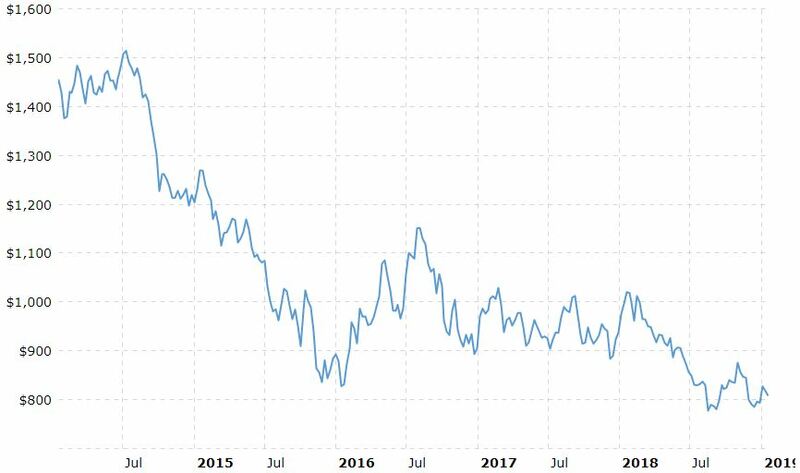 By now you probably see where this is going: Sooner or later, the demand for palladium for catalytic converters will dwindle and engineers will be designing them with platinum again. 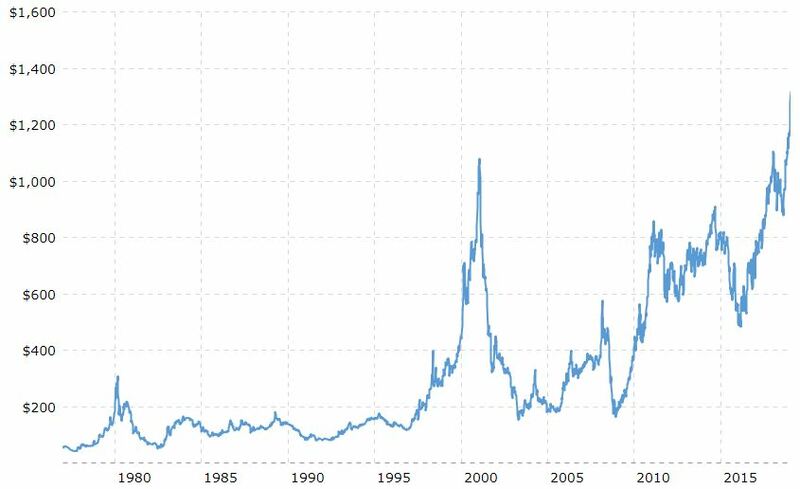 Investing in platinum has all the same problems as investing in palladium: It's expensive, investment options are limited, and liquidity can be a problem. For investors, platinum is a little better than palladium. But not by much. If investing in palladium is like getting slapped in the face with your eyes open, investing in platinum is like getting slapped with your eyes closed. It's not much better. It's also very important to note that while platinum and palladium do have somewhat of an inverse relationship, that relationship is weak. The relationship between platinum and palladium is not as polarized as the relationship between gold and the U.S. dollar. So betting on one going up because the other might fall is a poor bet. Platinum appears very cheap compared to palladium. But it might be five years before you see any significant gains from the metal directly. That's because (as you can see in the pt/pd price ratio chart) cyclical changes to the platinum/palladium market are long term. Sit on an ETF for five years? 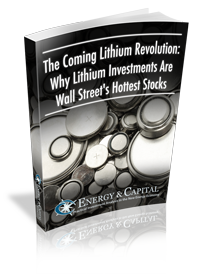 So you could invest in one of the South African platinum mining companies. But with major social political problems brewing down there, do you really want to invest in South African firms right this second for the next five years or so? Maybe you know something I don't. But for long-term plays, exposure to high geopolitical risk is not something I want. Holding a platinum ETF or platinum mining stock over the long term isn't appealing. You've got to buy some platinum. Satisfy that craving with buying platinum bullion. Now, normally I'd recommend staying away from buying platinum bullion. And that's for all the same reasons I already mentioned about palladium bullion. But, like I said, I know how these things go, and you've got to have some platinum. The premiums for platinum bullion are generally lower than palladium but higher than gold. And I'd say the same goes for liquidity: Platinum bullion is a bit more liquid than palladium but not as liquid as gold. Still, buying a little platinum bullion isn't going to kill you. And it will mostly be the easiest and most affordable platinum buy over the long term. There are actually a bunch of platinum bullion products. But the only two worth your time are American Platinum Eagles and Canadian Platinum Maple Leafs. Both come in the standard one-ounce size as well as fractional sizes 1/10 ounce, ¼ ounce, and ½ ounce. But it's important to note that fractional sizes always carry a higher premium than the one-ounce counterparts. 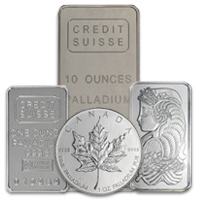 There are a dozen highly reputable online bullion dealers you can buy these from. Their prices vary depending on how many you buy and how you pay. So shop around before hitting that buy button. So there you go: Buy a few platinum bullion coins, sock 'em away in a drawer somewhere, and wait until you start reading headlines about platinum prices. A secret draft of a new presidential mandate has been leaked... one that will allow average American citizens to collect checks for $2,493... $4,112... even $6,383 every month. Sally W., a retired Pennsylvania teacher, collected $90,589 last year from the American government. John S., another retiree in Dallas, Texas, collected $5,922 every month in 2018. And when the clock strikes midnight on March 8, 2019, you too can start collecting monthly payouts. All you have to do is stake your claim in Trump’s plan to overhaul our coal trade with China.